There are plenty of shoe shops up and down the high street, but I have been put off in a big way by one of the larger shoe retailers here in the UK. I went shopping for childrens shoes today and I had what can only be described as a really bad experience in a Clarks shoe shop. First of all, I wasn't exactly taken by the shop layout. The allocated section for child shoe sizes was at the back of the shop in a tiny little corner that you could barely squeeze one pushchair into. On this occasion there were several of them in the vicinity and it was complete chaos. How about a bit more space for parents with shopping and children? Not only was the children's area inadequate if there were more than a few parents, but there didn't seem to be anyone around to measure my child's feet so that we could get the correct shoe size. Not exactly over staffed then! Getting shoes that are the correct width as well as size is important in my opinion which is why I would have preferred to have my child's feet measured properly. Okay, so we have a look around anyway to see what we can find. On previous occasions we've gone out and bought shoes that were a size 6E so we will start there. Now anyone that knows children's shoes will know that this is actually quite narrow in terms of the width of the shoe. I spent a good while searching, but what I found was that there was not a single suitable shoe in the shop. Nearly all of them started at size F. The only pair that came close were a pair of canvas "Doodles" which wasn't really what I was looking for in the first place. Other shops have said that these types of shoes are big fitting and to be honest they did indeed look massive! Why aren't shoes made in the complete range of width fittings? Also, it would be really helpful if they catered for parents with children a bit better than they currently do. Can anyone recommend any wide fitting children's shoes please? I have tried Angulus shoes and although they are wide fitting, did fit really well and lasted until a new pair were needed for size but they are just so expensive! If anyone could recommend anything cheaper, that would be great. I have tried many brands including vivobarefoot, they have a terra planna outlet store in Brighton but now my children have gone from a G to a H with high insteps, they are no longer wide enough which is a shame as they are nice and light which was perfect for their hypermobility! They are a bit better without the insoles but they do not have much growing room and I do not believe in going up a size for width, as Clarks have so often tried to convince me to do. I hate back to school time!! A very happy now 6 year old and her Aunty! We went to vivobarefoot/terra plana and here is what we found; the first store that we went to is in Brushfield Street (a 5 min walk from London Liverpool Street near Spitalfields), they do not offer a measuring service like you get in Clarks, etc, the Child stands on a board with their feet to the back of a ledge and then the shop assistant looks at the foot shapes on the board and sees which line the foot comes up, there are no width measurements. The shop assistant then get you the shoes you like in that size, in our case, 2 sizes to try on and you try the shoes on your child yourself. I don't mind this because I get to have a good feel of the feet in the shoe and see for myself if they fit, some people might prefer a professional shoe fitter to try the shoes on their children but with past experience, they are not always very well trained! Anyway, we ended up buying a nice dark pink pair of the Pally shoes (a bargain - in the sale from £42 to £15!) they are a soft leather (maybe nubuck) and are wide and flexible and we got her true size. We wanted to try the T Bar shoes and were advised to go to the Covent Garden store (Neal Street) where they stock the new styles. These shoes fit well and did not dig into her foot due to the style of the t bar although we did have to go up a size, they come in a lovely red and also in black. We also popped into the Great Marlborough (Soho?!) store as we happened to walk past (just off Oxford Street) and although they didn't have the T Bar shoes, they had other colours of the Pally shoes in the sale at £15 (I know they had purple because my niece really wanted them but due to the fact that the leather was different to the pink in the same style even when trying a size bigger, they did not fit as they were tight on the top of her foot due to her high instep) and they are still £49 online! So, if your child has a wide foot, I would say H without a high instep or G with a high instep then the Pally would fit in all leathers but if your child is a H with high instep like my niece then I would say the softer leather Pally might fit but you would probably be better going for the T Bar, epsecially if your child has an I+ width fitting and you might need to go up a size in this style. I didn't think my niece would be as pleased to get these but she said when seeing them 'I really like those!' so that was a relief and they do look very pretty! A very happy etc., I know how you feel! I posted a purely factual comment a while ago and was marked down several points. I have seen comments on other gripes marked up or down by 80 or 100; so there are clearly people out there who can manipulate the system. Ignore it! Well I am surprised to see a new ratings system on here (it has been over a Year since I was last on here) but even more surprised to see that I have been given -8 for recommending a shoe shop!!! 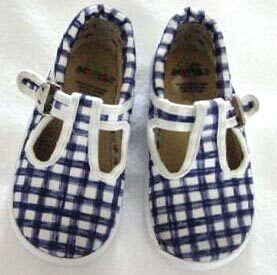 I am 'a very happy 5 year old and her aunty' and was returning to say that I recommend Angulus shoes (although pricey!) because they lasted the year until her feet grew and were worth the money! She now has a new pair (you can boo me all you like but I don't mind recommending Red Shoes in Crouch End if any of you non suspicious people are interested!) but needs a second pair of out of school shoes and we're hoping to find a cheaper pair! I wondered if anyone has tried vivobarefoot/terra plana shoes? I recently saw some in the sale at John Lewis and they looked very wide and flexible, does anyone recommend them? I remember flared jeans, but flared shoes??? I wanted to recommend The Shoe Station just outside of Kew tube station. They stock a wide range of makes - mostly european and we found school shoes today for both my narrow footed children. They were hideously expensive but the brand is fab and if last year is anything to go by they will last them out the school year. I'm on it folks, but it'll take a little while to sort out. I think the filters I had on the old site were a bit more efficient. Yes I'll go with that, block them all, or install another filter. I meant ip of course not isp!, mind you if the isp is china based it would work. Sorry I do know how to spell discriminatory, that was a typing error. I also know that West Africa is not a country, and if we want to split hairs, that Korea is two countries. Kenny : Can I suggest that you block the entire range of IP addresses from China, Russia, West Africa, Korea and so on, as it is highly unlikely that anyone from those countries has anything to contribute other than scams or spam. No doubt some pinko PC lefty prat will bleat that this is racist or xenophobic. First off it's not racist, it is discrimatory, not the same thing, and who gives a toss! These ads are probably being generated by a computer somwhere so can only be stopped by blocking the isp or altering the site filter to stop them being posted. Many grumpies are like me; adverts shoved down our throats have the opposite to the desired effect, they put us off buying the advertised products. Therefore you are actually reducing the numbers of potential customers for Nike and Adidas shoes every time you post, you idiot! Don't give up do you? Like I said yesterday, stick your adverts up your $$$$ and **** off!